Back Office Pro’s Data Processing team is comprised of industry specialists with the technical and analytical knowledge necessary to provide your clients with an accurate processing outcome. Data processing from Back Office Pro (BOP) effectively interprets information and prepares it for further organizational action through data extraction, validation, sorting, analysis, or storage. Our verified staff is able to definitively process information using a combination of advanced software programs and applied intelligence for impeccable data interpretation and analytical gain. Back Office for data processing is the preferred choice for data management businesses that require cost-effective outsourcing experts with a proven rate of success. Offering valuable resource planning and engagement solutions for a variety of data processing projects, and a means for companies to off-load their current data processing staff, BOP is the only option for securing active and confidential results. Through our well cultivated resource engagement and resource preparation options, BOP is able to aid clients with their data processing needs, and extend our considerable skills to all manner of processing services. BOP features a FTE (Full-time Equivalent) options so that we can provide our clients with a full service data processing skill set. Senior Data Processor Adept with all data processing formats, including MS Word, MS Excel, HTML, CGI, ASP, JSP, PHP, and 3D CAD for all 3D image processing. Processes raw data files and manages diverse data files, in addition to creating manipulation codes. Compiles, sorts, and verifies data prior to designing databases. Senior Data Analyst Advanced knowledge of SQL, CRM, Word, Access, and Excel, and exceptional technical knowledge of T-SQL and PL/SQL programming languages. They validate data in CRM and SQL, and apply analytical and mathematical abilities to validate information and draw complex conclusions from provided data. Data Processors Skilled at Word, Excel, Access, and all other exclusive Back Office processing software. They perform supportive core processing functions such as inputting data, statement preparation, validating information, and manipulating data with application programs. Data Processing Project Manager They direct and synchronize all activities in electronic data processing, systems analysis, and information systems for tactical completion of all data processing tasks. Additionally, they possess in-depth knowledge of declarative programming languages like SQL, ECL, XML, and HTML. BOP implements statistical tests for quality assurance, such as correlation tests, ANOVA samples or cross table analysis, and data mining. All data processors and data entry operators are experienced with all requisite spreadsheet and database formats, utilizing OCR and ICR electronic scanners, and converting data into desired configurations. Resource engagement consultation and outsourcing advisement to acquire any and all equipment, investors, mentors, and team members required to finish data processing tasks on time and within budget. Our data processing team coordinates to ensure that DOI, and CMS requirements are met. 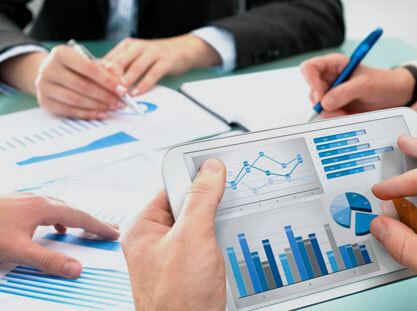 We render data processing outsourcing procedure that flawlessly guides clients through the resource acquirement and planning strategy, and generates dependable organizational results for data processing tasks. Client Conference and Submission of Offer A preparatory conference, inclusive to all involved parties, is conducted with consideration to client objectives. BOP then submits an offer detailing all particulars for contracting services. Enact Standard Training Initiatives BOP’s data processing staff enacts standard training initiatives that focus on general practices and applications. Through proven educational techniques, we transfer knowledge to incoming personnel. Price Quote, Planning of Resources and Operation BOP draws up a quote for pricing with careful regard to client’s budget. A proactive plan for securing the correct resources is decided upon, and a course of action for the process ahead is configured by our learned Data Processing team. On-Site Directives and Personnel Conversion To facilitate an orderly and efficient conversion of off-loaded data processing members, BOP pursues an education based approach to on-site training directives that encourage the participation of all team associates. Tender Business Contract We tender a contract to the client that contains all essential information in proceeding with the outsourcing with Back Office for data processing enterprise. BOP supplies numerous advantages to clients who outsource to our cultivated data processing team, assisting with all procurement of resources and generating ordered conclusions to every campaign. As ISO9001-2008 quality process, BOP is best able to evaluate data processing needs to determine opportune stratagem for achieving client aspirations at the most affordable rates. Work with our highest ranking Data Processors who have experience categorizing, validating, analyzing, and extracting key elements from both raw and structured data materials. BOP presents a broad spectrum of high quality data processing services, including critical analytical skills, with our certified team of expert data processors and data controllers. Myriad possibilities with Back Office’s options for large volume projects such as Forms Processing, Image Processing, Order Processing, Survey Processing, and Check Processing. Redirect manpower and financial assets towards more imperative areas of your business when you outsource with Back Office, and allow our team to complete all data processing endeavors to the most elevated of standards. Transfer your business’s Data Processing staff to BOP for cohesive training by Senior Level Processors and personnel acclimation into our educated data processing team. Call BOP today for outsourcing services that encompass all possible data processing ventures, including transplanting data processing teams, acquiring vital resources, and completing solitary data processing goals.